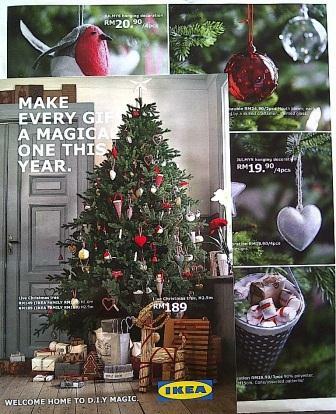 IKEA’s Christmas Catalogue 2012 is already published and distributed weeks since October. 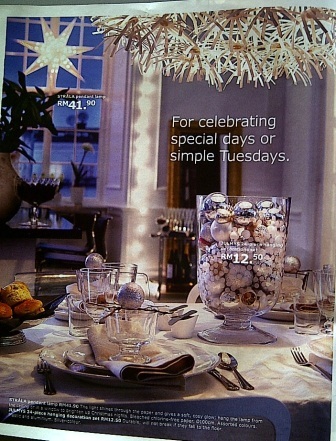 As per other years, they’ve incorporated a lot of creativity in their catalogue, providing solutions- showing how their products can come together to bring your home that festive cheer. Above is the cover of their current edition. 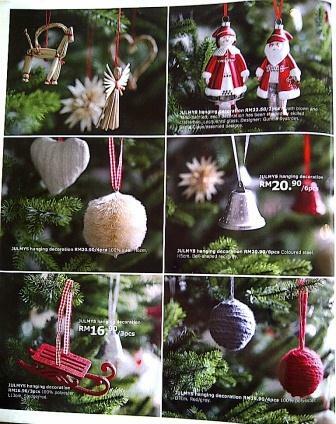 They also sell Christmas ornaments where you can put on the Christmas tree. And instead of showing the pictures of the ornaments in a package, we can see how nice it is being decorated on the tree. 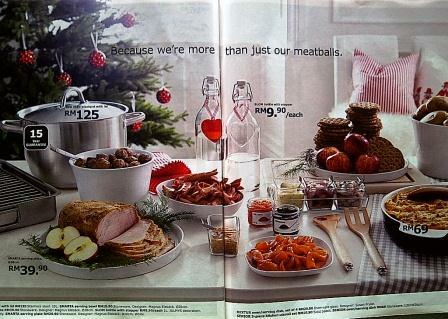 Above is an illustration of the Christmas meal- all laid out on the table. Again, you can see very well how their items can be put to use, the plates, glass bottles, pots, BBQ grill, cooking utensils. 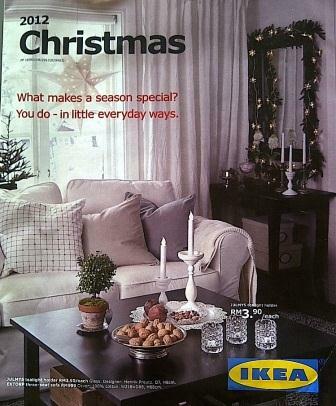 IKEA is one of the few companies that show you how to use their stuff. And their items are not really that expensive.